At Gulf Atlantic Vehicles, your satisfaction is paramount to us. For four generations, our family has provided top-quality golf cart sales and service to the New Smyrna Beach area. The golf cart you choose really depends on how you plan to use your golf car and which would work best for you, and the knowledgeable, friendly sales associates at Gulf Atlantic Vehicles are here to help. For instance, if you are trying to decide on whether to purchase a gas or electric cart, we can outline the plusses and minuses of each to determine which would best suit your needs. Gulf Atlantic also provides a vast inventory of top-quality golf cars, and we are happy to walk you through all of their particular perks. We are Volusia County’s factory authorized dealer for E-Z-GO, one of the world’s top golf cart brands. We offer an exceptional line of E-Z-GO personal golf cars and fleet, turf and food/beverage maintenance carts for the golf and hospitality industries. Club Car, a company with a remarkable reputation for providing long-lasting value, has also chosen Gulf Atlantic as its dealer in this region. Club Car offers some of the finest golf, utility and transportation vehicles in the industry. 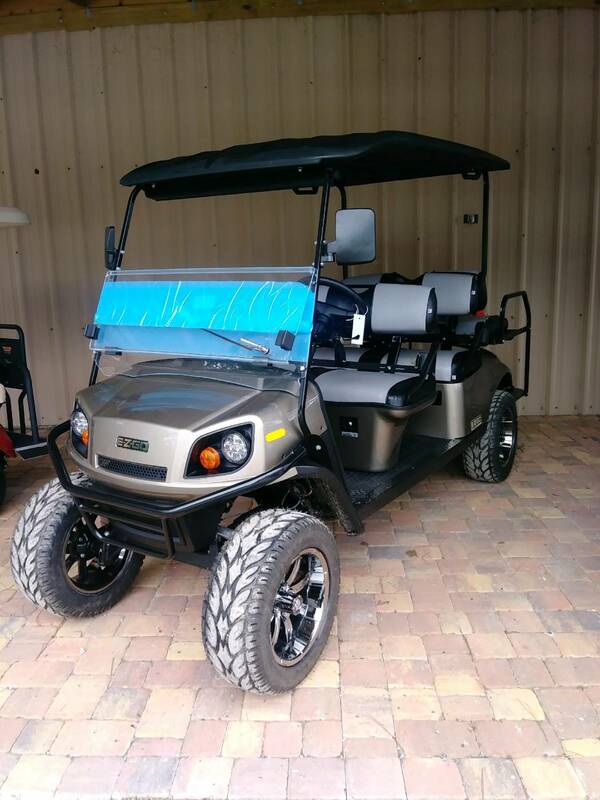 Gulf Atlantic is also the dealer of choice for Gem Golf Cars, offering rugged frames, long-lasting durability, zero emissions and lower operating costs than gas powered vehicles. Additionally, we offer hundreds of options and accessories to create the perfect custom golf car for you. No matter what you choose at Gulf Atlantic, you will feel confident knowing you came to the right place for an exceptional golf cart. There’s also a lot to be said for a family-owned business. Because Gulf Atlantic is family-owned, we possess a deep commitment to core values, quality products and workmanship. Our sales team goes above and beyond because integrity and a long-standing, exceptional reputation within the New Smyrna Beach Community mean everything to us.